Respondents to an online poll were more likely to search for anemia information online rather than ask their nephrologists. Chronic kidney disease (CKD) patients want more information and support for managing anemia. In a recent online poll of 294 patients reporting a CKD diagnosis, 45% said they wanted more information from health care practitioners, especially specialists. In addition, 72%, 62%, and 55% said they completely trust the information they receive from nephrologists, hematologists, and family doctors, respectively. Only 23% said they trust the information they get from online searches. Yet these same patients were more apt to seek information online (53%) or on social media (37%), rather than ask their nephrologists (35%). 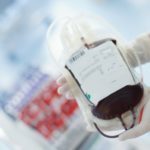 The poll, sponsored by AstraZeneca, a maker of drugs to treat anemia, found that 55% of CKD patients did not know their hemoglobin (Hb) levels or had not received a blood test in the past year. A majority were aware of common symptoms of renal anemia, including fatigue, weakness, and dizziness. Many reported lack of energy (84%) and illness (31%). But 66% did not know that anemia could cause breathing difficulty. Anemia led some to worry that their condition could worsen (48%) or feel sad (41%) or nervous (24%). When doctors did not merely discuss anemia but various treatment options, patient confidence grew from 39% to more than 50%. Understanding Chronic Kidney Disease (CKD) Anemia: The Patient’s Perspective. AstraZeneca; December 18, 2018.